APA/Getty Images. "Women! 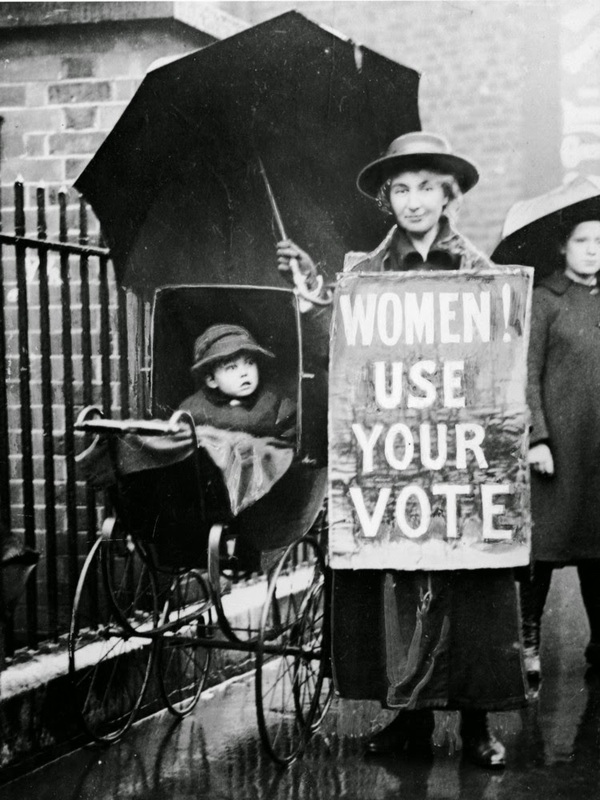 Use your vote," circa 1920. Museum of London/Heritage Images/Getty Image. 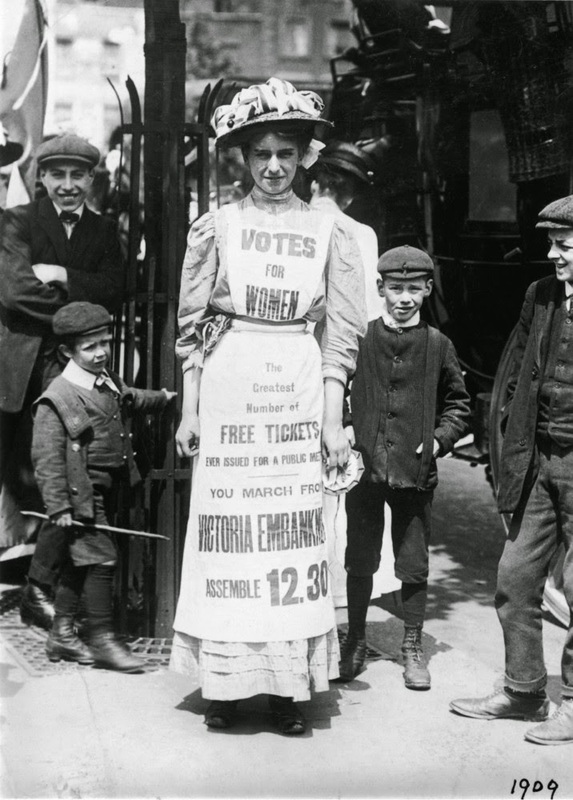 Emmeline Pankhurst, among the most famous voices in the English suffrage movement, advertises a march for women's suffrage in 1909. Underwood Archives/Getty Images. 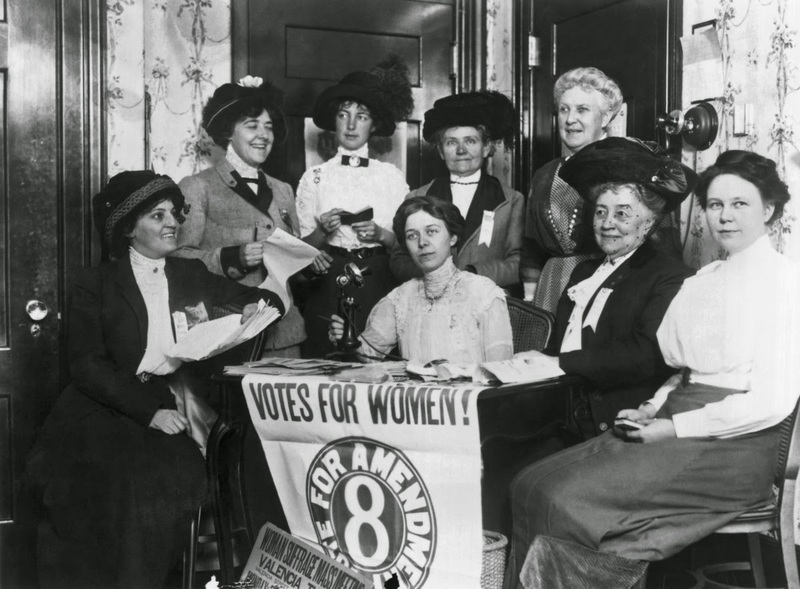 Women assembling in San Francisco to to secure passage of a California state amendment granting women the right to vote. Topical Press Agency/Getty Images. 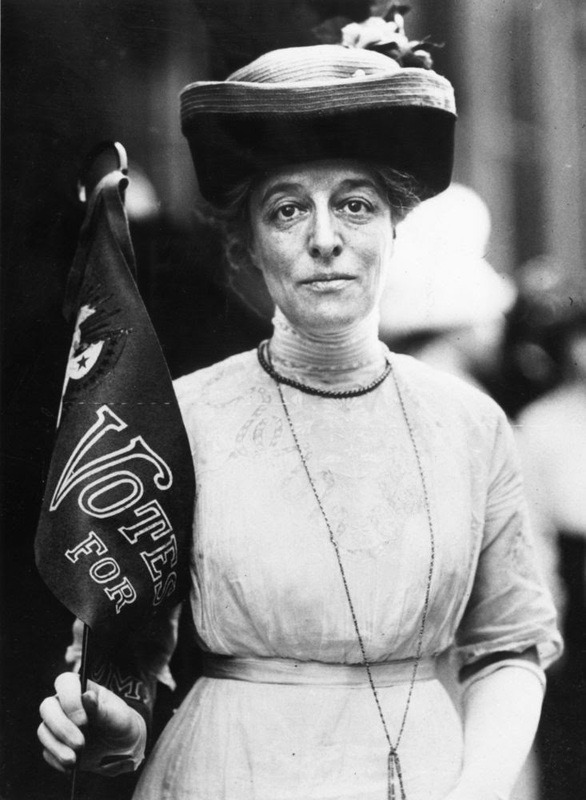 A suffragette stands with a "Votes For Women" banner in 1910. Stock Montage/Getty Images. 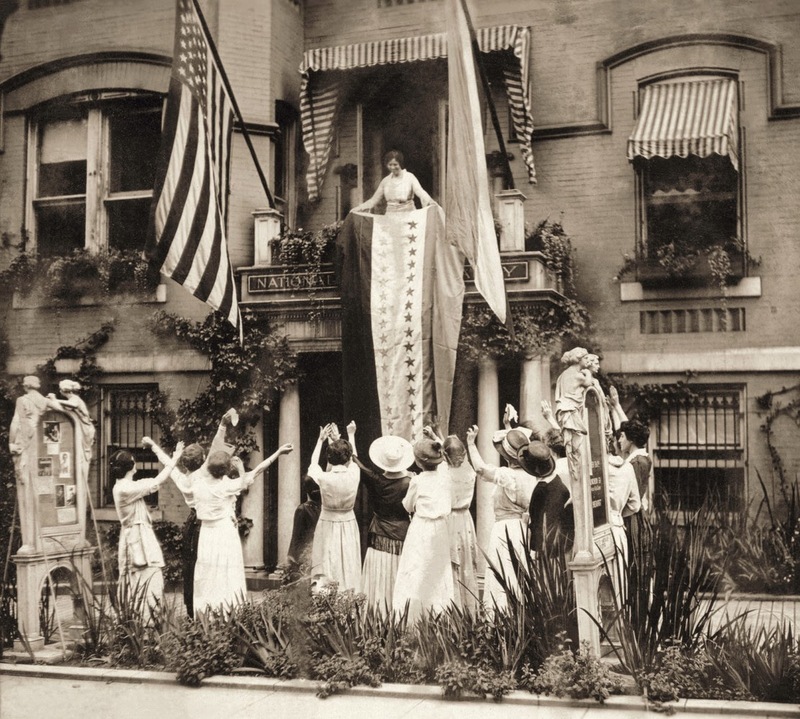 Suffrage badass-in-chief Alice Paul leading celebration of Tennessee's ratification of the 19th Amendment looks a bit like the front row at a Beyonce concert. Hulton Archive/Getty Images. 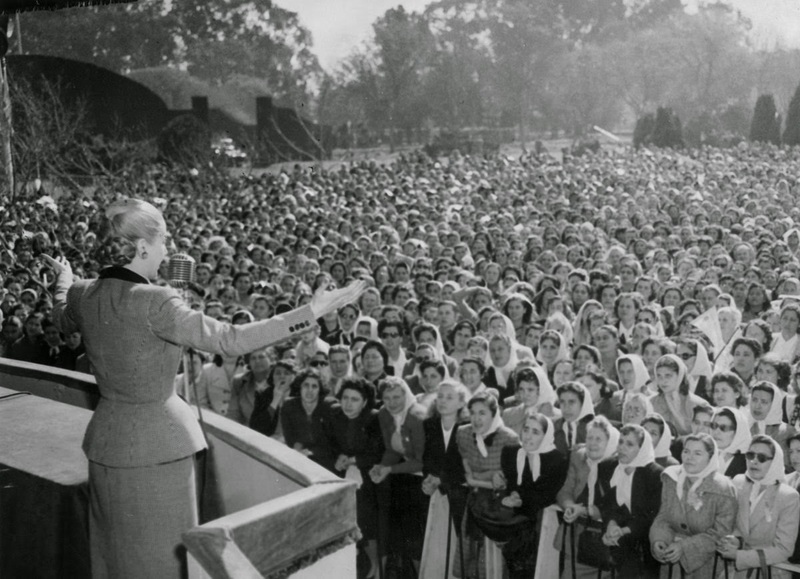 Remembered fondly in pop culture as "Evita," Eva Peron helped secure the right to vote for women in 1947 as First Lady of Argentina. Here, she celebrates with Argentine women in 1951. Al Moldvay/The Denver Post via Getty Images. 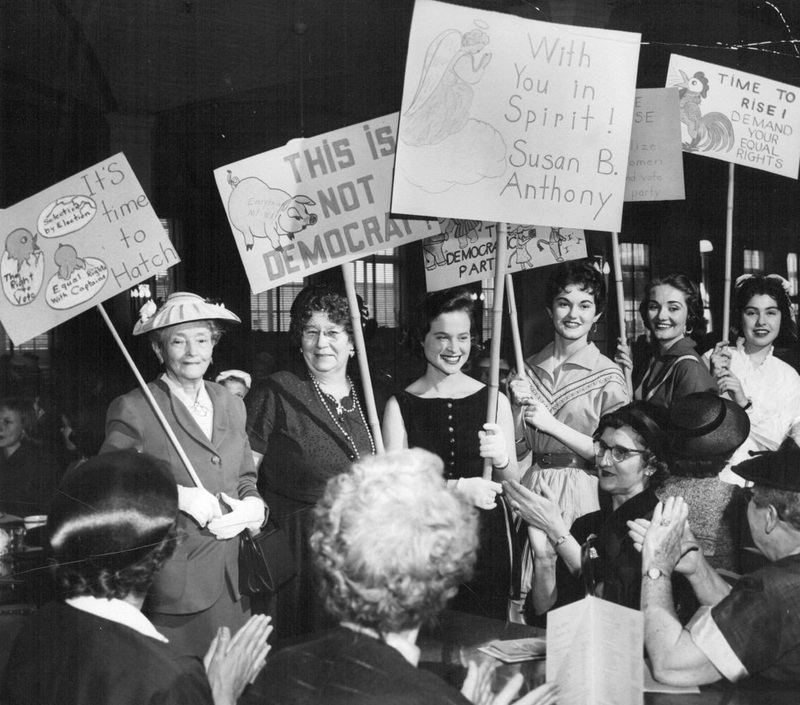 In 1957, Colorado women evoked the early suffrage movement in protest of local political groups that still did not allow women to vote on committee issues. Keystone-France/Gamma-Keystone via Getty Images. 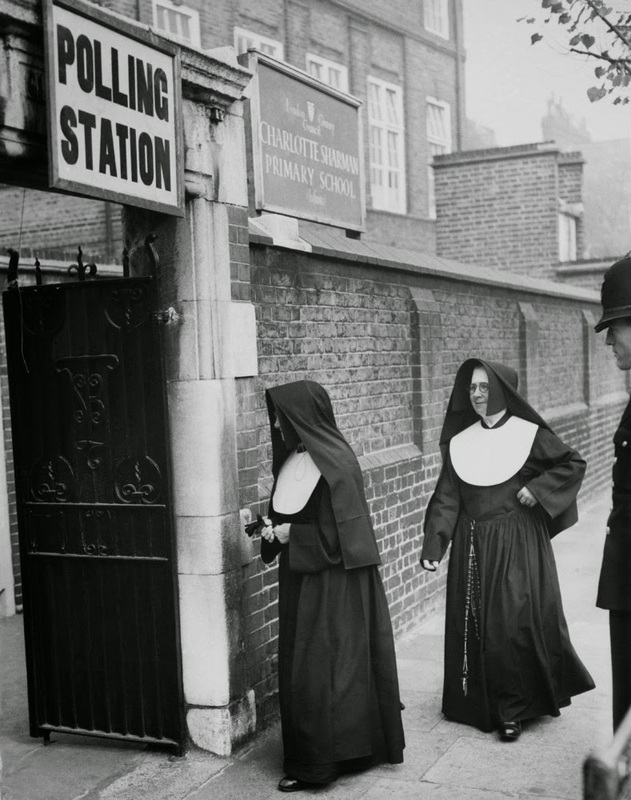 Nuns arrive at a polling station in 1959. Afro American Newspapers/Gado/Getty Images. African-American men were granted the right to vote by the 15th Amendment in 1870. 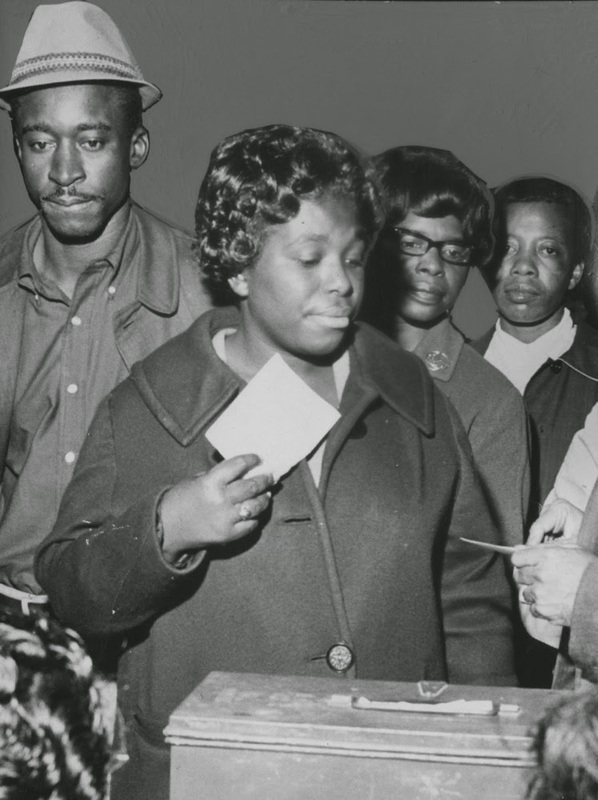 But even after the 19th Amendment extended voting rights to African American women, discriminatory practices effectively disenfranchised many African-American voters. Gabriel Hackett /Getty Images. 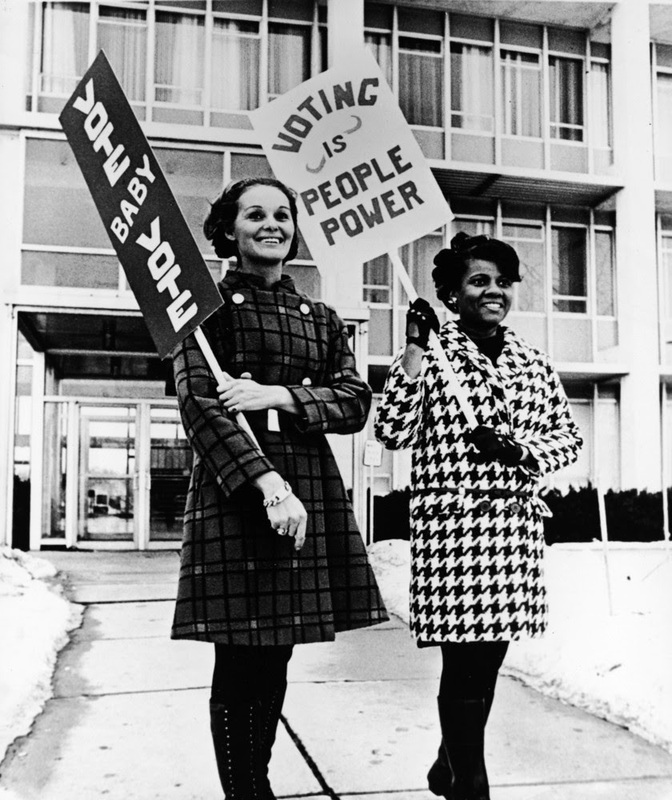 "Vote baby vote"
Afro American Newspapers/Gado/Getty Images. 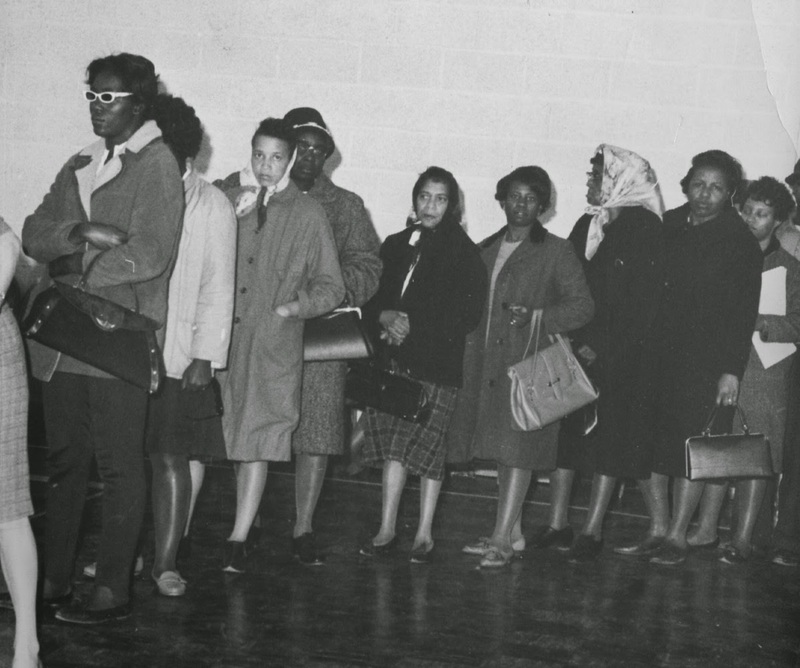 Women line up in Baltimore to vote in the 1964 election. The Civil Rights Act, which included greater protection for black voters, was passed three months later. Duane Howell/The Denver Post via Getty Images. 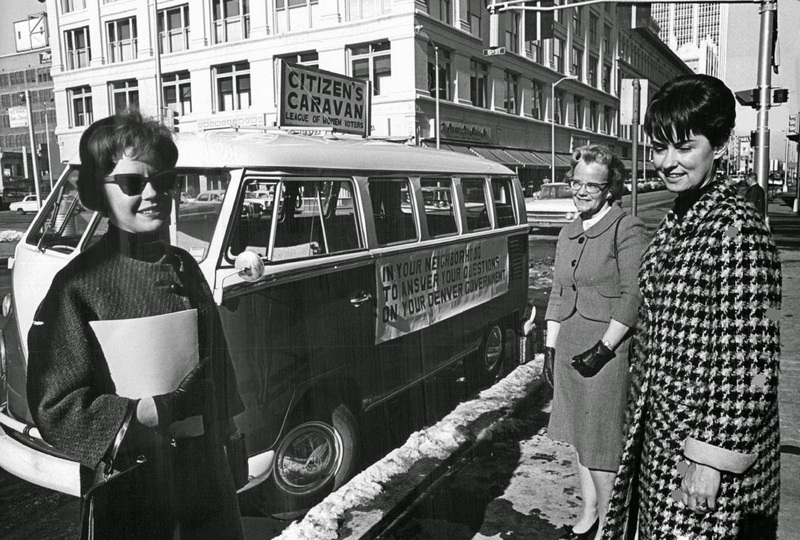 Women Voters League Officials offer rides to voters in 1965. ElizabethForMA on Flickr, under Creative Commons (CC BY-NC 2.0). 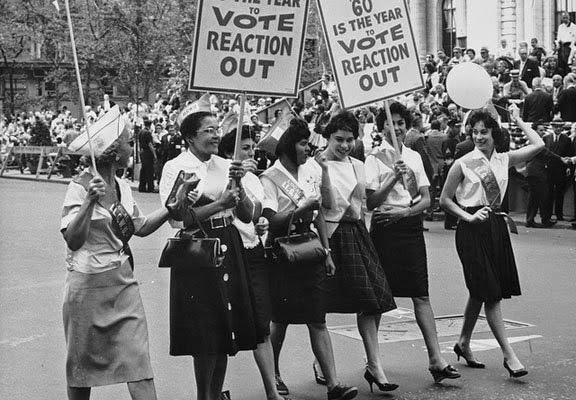 The Voting Rights Act of 1965 provided even greater protection to black voters against racial discrimination, but black women were advocating for important issues on the ballot long before that. Getty. 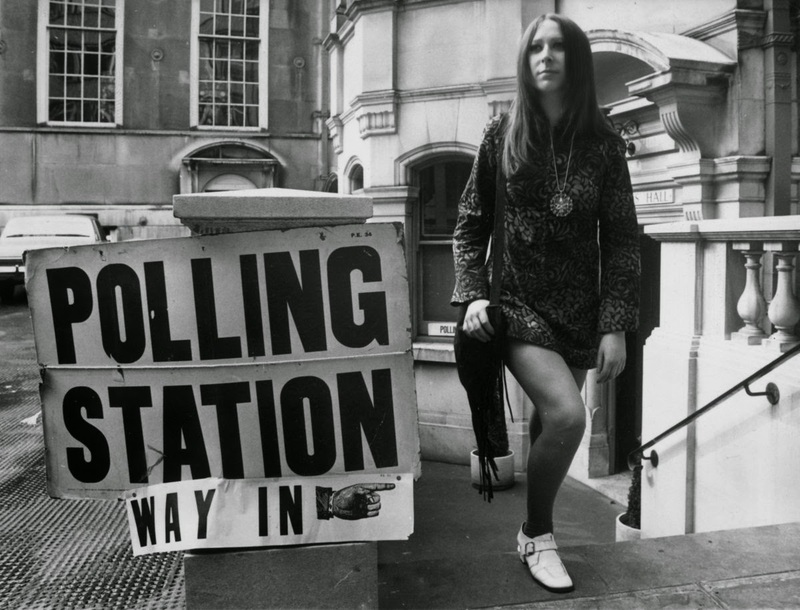 A woman votes in style in 1970. Central Press via Getty Images. 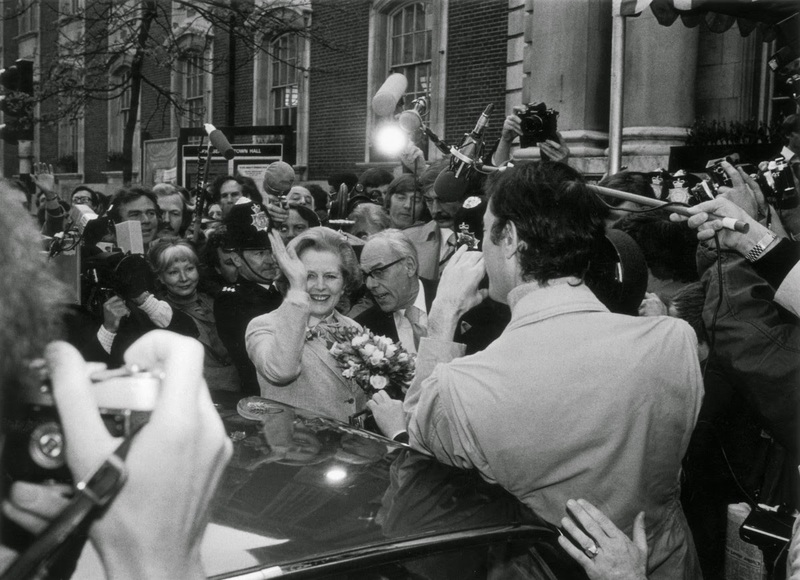 Margaret Thatcher arrives to cast her vote in the 1979 general election. With the victory of her Conservative Party, Thatcher became Britain's first female prime minister the next day.